Advantech has announced that it has partnered with Mitsubishi Electric, Omron, NEC, IBM Japan and Oracle Japan to establish the “Edgecross Consortium” to overcome boundaries between companies and industries in order to realize collaboration between factory automation (FA) and IT. The objective is to create new value centered on edge computing. 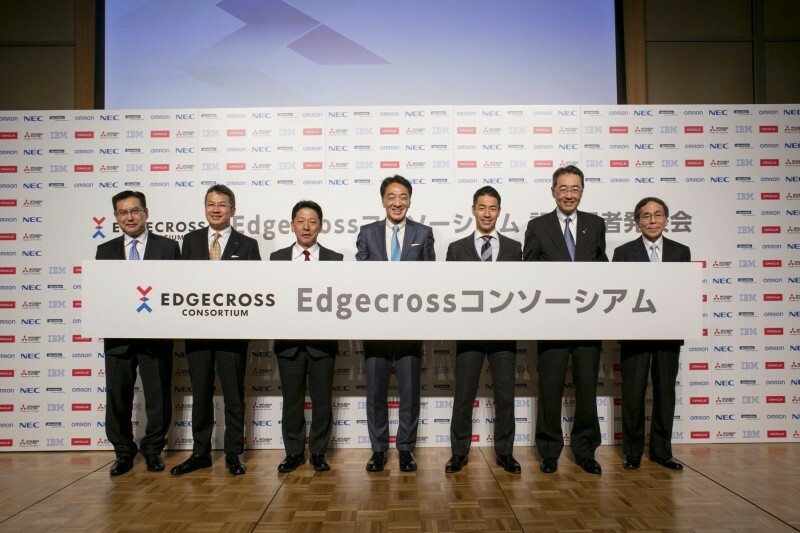 The joint press conference to announce the establishment of the Edgecross Consortium was held on November 6, 2017, in Tokyo, Japan, and the establishment of the consortium is planned for November 29, 2017. The Edgecross Consortium will focus on the easy realization of FA and IT collaboration through its open software platform (“Edgecross Software Platform”), which is based on edge computing. By residing on the edge layer, the Edgecross Software Platform facilitates connectivity between factory shop floors and value chains, while enabling the rapid acquisition, analysis, and utilization of data, which are essential to smart manufacturing. In addition, user applications can be easily created and shared on the edge to realize various IoT utilization purposes. The consortium aims to co-develop the platform specifications for and achieve certification of Edgecross products, in addition to co-marketing promotion and global co-selling for consortium members. Starting from Japan and then globally, you will be able to catch a glimpse of the Edgecross booth display at the SCF 2017 Fair and Smart Factory EXPO 2018. Advantech is organizing the IoT Co-Creation Summit from November 1 to 3, 2018, in Suzhou, China, with more than 2500 attendees from all over the world. The summit will seek to foster the three phases of growth brought about by IoT and to demonstrate the co-creation achievement of IoT WISE-PaaS, EISs, and SRPs.